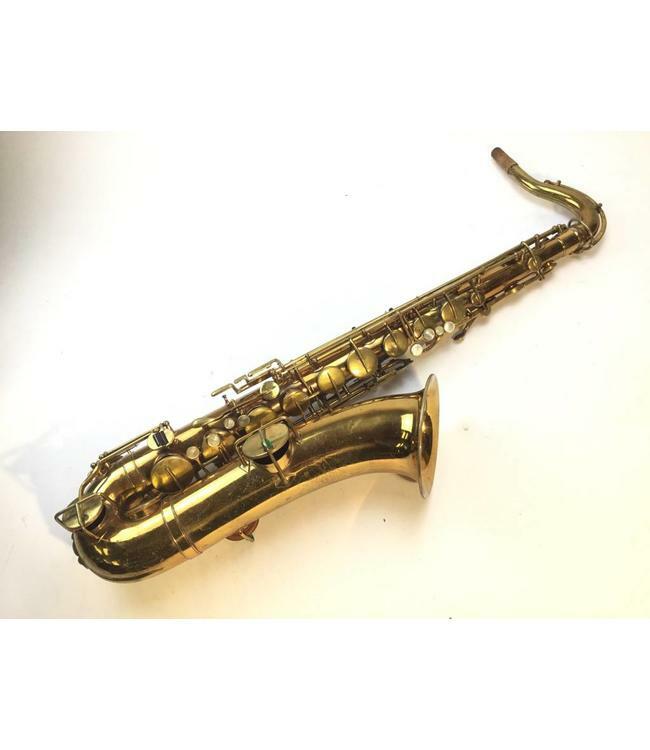 Used Buescher True Tone tenor saxophone. Re-lacquered with about 85% left. Nice vintage horn. Pads and corks are in good condition with plastic resonators. Several surface scratches throughout. Comes with original case.